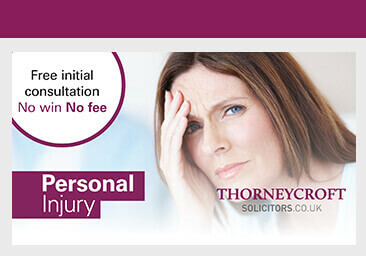 Thorneycroft is one of the UK’s leading firms of dedicated personal injury claim solicitors, with a reputation for the highest levels of customer service and successful no win – no fee compensation claims. Our specialist team of personal injury solicitors provide effective, friendly and honest advice when dealing with your personal injury claim. Although we are based in Macclesfield, we have dealt with many successful claims for personal injury serving clients located in Manchester, Cheshire and throughout the UK. Our personal injury solicitors have an excellent track record for settling personal injury claims in Macclesfield, Manchester, Cheshire and surrounding areas. Our annual awards of damages for last year exceeded £14,000,000 with awards ranging from lower value, minor injury claims of £750 up to complex catastrophic injury claims to the value of £1,300,000. As well as undertaking personal injury compensation claims, we also work with relevant ancillary professions to ensure our clients obtain the correct rehabilitation, from short-term physiotherapy in less serious injuries right through to injury claims for surgery and prolonged therapies, in cases of serious and long-term injuries. 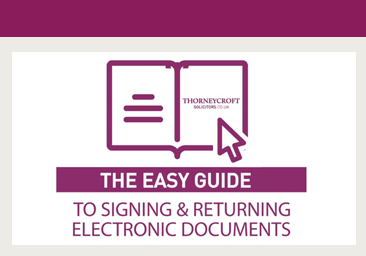 Thorneycroft Solicitors have dedicated, specialist personal injury solicitors acting in each area of accident claims ranging from straightforward liability claims through to more complicated injury claims where the long term rehabilitation and care of our clients is of paramount importance. When instructing Thorneycroft Solicitors, you can do so safe in the knowledge that, as members of the Association of Personal Injury Lawyers, our priority is to ensure that each of our clients receive and retain the maximum level of personal injury advice and compensation possible. 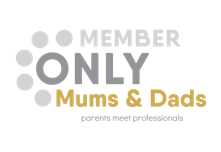 So if you have suffered a personal injury in Macclesfield, Cheshire or Manchester, call our no win no fee injury solicitors today.